This photo was posted on The Other 98%'s facebook page tagged "An important safety tip." I get the importance of shock value. This photo caught my eye not just because my aunt was soliciting her brother for a response about it but also because I had to think about it. Initially, I thought well sure, of course it does. Every time anyone does anything that is their job, they are creating customers- aren't they? I work in housing for the homeless, every time I meet with a client, am I not creating a customer? Every time my boyfriend sells a car, is he not creating a customer? We want them to tell their friends, to come back. I also understand that when I go to the MD and have specific symptoms, they can't yet say, "there's an App for that" but they can tell me to take one of these at night and three of these when I wake up and I should be right as rain. Truth is, that fist full of "medicine" might not make me right as rain. It might make me even more hindered in lots of different ways. You're familiar with the side-effect warning labels so I won't add the list here but they are long. What I don't like about this banner is that nothing is that simple. Sure, there is a booming pharmaceutical industry that is making money hand over fist on medicines for anything and everything that is or might be wrong with us and our pets but there are also drugs, including vaccines (Yes, I said the V word.) that are helping people live better, more successful lives. 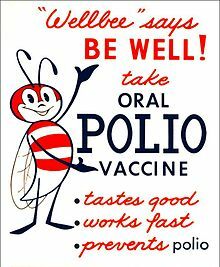 For example, (it's my favorite example) I am pretty sure the polio vaccine works very well at keeping people from getting polio, having to die from it and perhaps suffer the later consequences of post polio syndrome. I have had the occasion to work with a few people at the later stages of their life who were living through post polio and it is painful at best, not to mention incapacitating. Is the pharmaceutical industry supposed to have an arsenal of cures? It certainly has a few. Antibiotics save lives every day. Many medicines make life possible, better, easier to live for many of us. The issue I have not addressed yet has to do with the creation of customers. I get it. It brings to mind the image of the back alley drug pusher offering the first hit for free and then demanding payment in full upon next request. It is easy to blame them for exploiting us, our fear, even our illnesses. Surely they are, they are a for-profit business. Anyone who thinks these drugs are made by huge companies out of the kindness of their' hearts is naive. The drug companies, like most- are out to make as much money as they can for as little as possible. This is basic, even I can understand that. The point I am trying to make is they often have something we want or need, so it's nice they are there. What also caught my eye with this photo is the small "wake up, it's a matrix" line at the bottom of the sign. I agree most of us need to wake up. Sure, why not? But are they referencing The Matrix in this line? Saying that it's all a big conspiracy with the Wizard of Oz behind a curtain somewhere? Again, I wish it were that simple. I am not a doctor and I am not a politician and I am certainly not a Big Pharma Rep. I am a 33 year old mom who is studying to be a clinical social worker. Sure there are things that are afoot that smell fishy, (Such as Monsanto!) but I don't think Big Brother is in bed with Big Pharma in a huge Matrix-flavored conspiracy. My advice to these kids holding the sign is get involved in writing some policies that restrict what drug companies can and can't do. Get on a committee. Work on legislation. It's more boring than picking fights in front of City Hall with masks on but you might get a better response and you might make a change from the inside out. 6 Responses to "We Are All Customers"
While I agree with the overall sentiment; before embarking on a policy writing adventure it’s crucial to get big pharma out of the political process. As things stand, even the best policy in the world is quickly corrupted and effectively neutralized by lobbies funded by big pharma. It’s no matrix, it’s right in front of our eyes, visible for everyone to see, just follow the money. Thanks for your words. Excellent point. Dear Ms. Ehlers: I doubt that I’m ever held up as a model of mental health, but I would suggest to people struggling with, as they say, mental health issues. to (1) struggle at all times to get outside themselves and (2) engage every day in strenuous physical exercise for at least one hour. It goes without saying, I should think, that diet, i.e, eat nothing that comes out of a can. Additionally, shun the company of neurotics and follow the Giants and 49ers. Ha. Thanks for your comment, Mr. Anderson. Also, this is along the same lines: Bad Recommendation if you’re interested. Ok Bruce, gotta tell ya that following the giants and the 49ers ain’t gonna help ANYONES mental health!